Hyde Park Art Center is proud to present work from participants in The Center Program, the Art Center’s flagship artist professional development initiative. Led by Director of Education Mike Nourse, this six-month program is designed for a group of artists who create new works, connect with peers, present to visiting professionals, and culminate with an exhibition. This exhibition will have a public event on Saturday September 15th. From 1-3pm we will have a public crit (join to hear artists talk about their work), and the official reception will be from 3-5pm – all part of Solid Gold Saturday! The Center Program was first piloted in 2012 as a response to gaps in accessible professional development offerings for artists in Chicago. Traditional MFA programs are frequently cost-prohibitive; there are limited opportunities outside of colleges and universities; and, most artists actively seek time and space to deepen their practice, more critical feedback and guidance, and more exposure to networking opportunities. Artists accepted into this program are charged to create new works, present their process inside of group seminars and individuals meetings with visiting professionals, and finish by participating in a curated exhibition at Hyde Park Art Center. This year’s list of visiting professionals include Claudine Ise, Anna Kunz, Jefferson Pinder, Jim Duignan, Jim Dempsey, Peter Fitzpatrick, Tricia Van Eck, Patric McCoy, Damon Locks, Patterson Sims, and Erzen Shkololli. The demand for the Center Program over the last seven years proves there is a wide-ranging need for robust and accessible programming designed for working artists. 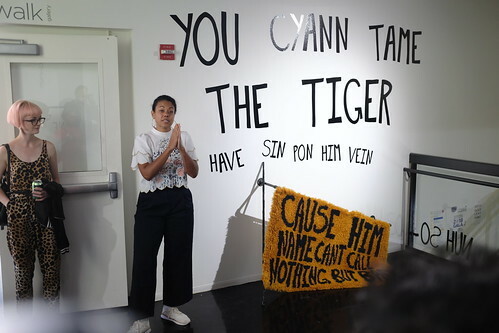 The Center Program continues to offer scholarships for artists of color, Teaching Artists, access to free courses at the Art Center, separate development programs with UChicago’s Graham School of Continuing Liberal and Professional Studies, and also secures space for alums from partner organizations such as Luminarts Cultural Foundation, Marwen, 3Arts, UChicago’s Arts & Public Life, and the Center for the Study of Race, Politics, and Culture. Solomon Adufah, Vidura Jang Bahadur, Ishita Dharap, Max Guy, Kate Hampel, Kelly Jones, Jill Lanza, Haerim Lee, Frances Lightbound, A.J. McClenon, Eliza Myrie, Justin Nalley, Pooja Pittie, Kellie Romany, Alejandro Waskavich, Brittney Leeanne Williams, Nancy Lu Rosenheim, Udita Upadhyaya, and Toby Zallman. The guest curator of the Center Program Final Exhbition 2018, Erin Toale, is an artist, arts administrator and curator. Toale draws from her own experience and knowledge as a Center Program alumnus to curate a cohesive final exhibition. Her curatorial approach emphasizes identifying the aesthetic, material, or conceptual resonance in each artists practice, and drawing similarities from there. 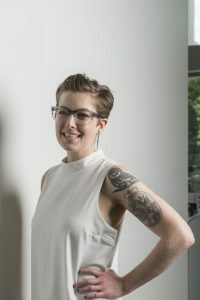 Toale has curated exhibitions at the Sullivan Center, Museum of Contemporary Art in Chicago, and at the Coalition Artists Coalition as a HATCH resident. She holds a Masters Dual Degree in Art History, and Arts Administration and Policy from the School of Art Institute of Chicago. Currently, Toale serves on the executive Board of Directors at The Arts of Life.